Who is Grandmaster Chen Xiao Wang? Grandmaster Chen Xiao Wang was born in 1945, in the Village of Chenjiaogou, Wen county, in Henan province, China. His family, the Chen´s are the custodians of a tradition of nearly four hundred years old, inherited from its ancestor the General Chen Wan Ting, who is credited with the genesis of Taijiquan in the seventeenth century. Aware of its responsibility, more from an early age Master Chen Xiao Wang began his training when he was 7 years old under his father, Chen Zhaoxu and grandfather Chen Fa Ke. Master Chen continued to train at his family’s school in the Chen Village, through his youth. became a carpenter and worked in this field for many years while continuing to train. He inspires us with his stories of practicing the Laojia (about a 15 minute form) at least 27 times each day, along with his standing meditation practice and all the other forms he learned. In 1988 he was recognized by the Chinese government with a special award for contribution to Taijiquan development. 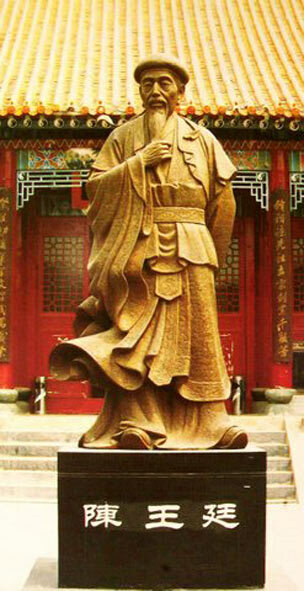 Master Chen is also a distinguished author having written several books on Taijiquan. He a committee member of the Society of Chinese Calligraphy and Literature. In 1990, Master Chen Xiao Wang left China on a mission to promote Taijiquan to the world. He established the World Chen Xiao Wang Taijiquan Association and has since been touring Europe, North America, South America, and Asia promoting and teaching Taijiquan The distance he travels each year is equivalent to twice the circumference of the earth. Master Chen Xiao Wang currently resides in Australia but travels over 300 days a year teaching his family’s Taiji to anyone who wants to learn it. Master Chen additionally cultivates teachers on many continents to help him spread high quality Taiji throughout the world with the goal of health and happiness for all. His brother Chen Xiao Xing his many family members and community in China continue to work tirelessly to both teach and to renovate his family’s home village & temple so that the birthplace of Taijiquan will remain as a Jewel, intact for generations to come.